The term “disruptive technology” has been in use for ten years now, since Clayton Christensen popularized the term in his book, The Innovator’s Dilemma. At the time, disruptive trends and technologies applied mainly to risk-taking early adopters and seemed fairly slow moving and far removed from the priorities of most companies. That has changed now, as companies see the opportunities those technologies offer. Along with opportunity comes risk, and forward-looking CISOs will be anticipating those disruptive technology risks and how they impact their businesses. However, there is a gap in awareness of the prevalence of disruptive technologies, according to the Excellence in Risk Management XIV report, published by The Risk Management Society (RIMS) and Marsh. For example, just over half of risk professionals say their organization doesn’t use or plan to use the Internet of Things (IoT). The reality, according to some estimates, is that 90% of companies will be using IoT within two or more years. 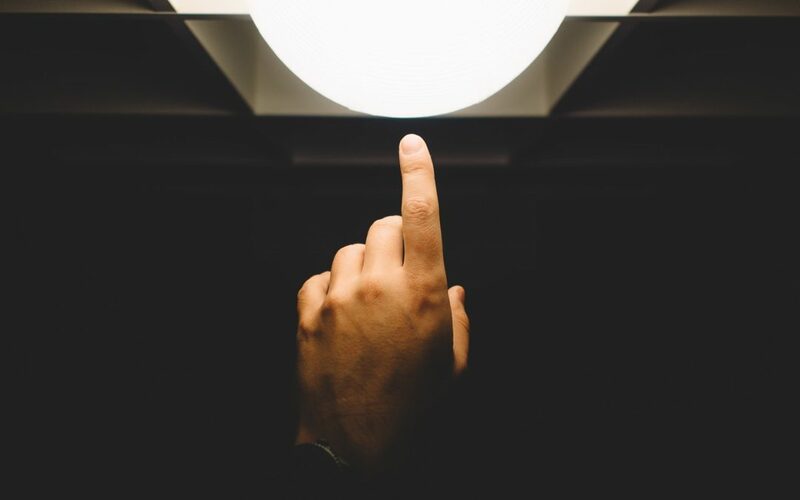 This gap between perception and reality has contributed to more than half of organizations not conducting risk assessments for disruptive technologies. Keep up with disruptive technology trends. Be involved with decisions about using disruptive technologies. When disruptive technologies are chosen, understand how they change your risk profile. 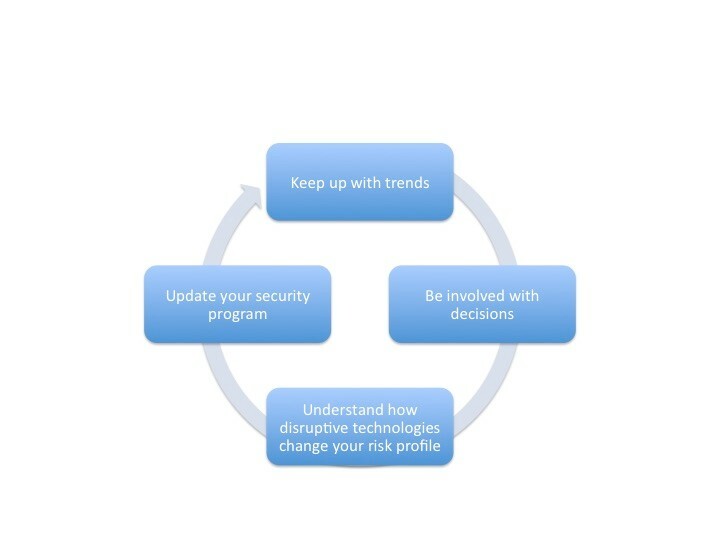 Update your security program based on your new risk profile. Be accessible and available – be the resource people come to for guidance. Create cross-functional risk management groups, or if they exist, consider whether the composition of the group needs to change based on disruptive technologies. Be aware of adoption roadmaps – seek them out. Offer training, consulting, and coaching as a resource. What are the components and who are the experts (internal or external)? For IoT, we need to consider the device layer as well as the edge tier and related interfaces. Who are the edge computing experts who can help identify those threats and vulnerabilities? Beyond the components themselves, where in the chain (value or supply) do threats and vulnerabilities pose a risk? Where can we prevent incidents? Where can we detect and address them? What data and analytics are available and relevant? With this knowledge, revisit and adjust your security program, and budget, as appropriate. Disruptive technologies bring different risks, but also bring great opportunities for companies to improve the way they do business and for CISOs to lead the way. Alexia Idoura is Senior Program Manager for Global Research and Development at Kudelski Security. She is responsible for coordinating program management activities across CTO engineering/innovation projects. Prior to joining Kudelski Security, Alexia coached and consulted primarily around change management, including working with companies to get full value out of software investments. She also worked for Symantec (and previously Veritas and Seagate Software), for almost 20 years as a senior principal program manager in DevOps and in other roles, implementing and rolling out systems to help organizations run more effectively.